Elk Grove Village, IL—(ENEWSPF)—December 31, 2015. A federal study suggests the childhood “asthma epidemic” may be levelling off or even declining after years of steady increases, but not among poor children. Researchers at the National Center for Health Statistics analyzed asthma rates between 2001 and 2013 for the study, “Changing Trends in Asthma Prevalence among Children,” to be published in the January 2016 issue of Pediatrics (published online Dec. 28). They found overall childhood asthma rates increased from 2001 to 2009—continuing a trend that began in 1982. The rate peaked in 2009 at 9.7 percent, but then plateaued before declining significantly in 2013 to 8.3 percent. Authors of the study said differences in asthma rates based on a child’s race emerged in 1996, but stopped increasing after 2009. They said that’s roughly when non-Hispanic black children, who experienced the greatest increases over the previous decade, began to see a decline in rates. Analysis based on socioeconomic status in the study, however, showed that asthma prevalence among poor children appears to be still increasing. 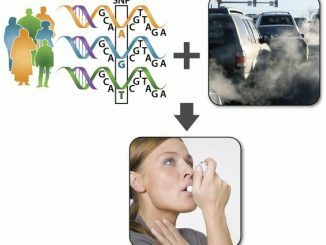 Researchers said that while the data can’t pinpoint why trends differed between subgroups of children, they speculate that living in poverty might increase environmental exposures linked to developing asthma.